Recently there was a dedication of a Habitat For Humanity home in Coleman. The EFPN Coleman Pantry representative was there to bring the family a welcoming gift of food. We always feel food makes a house a home. Did You Know EFPN Helps Low Income College Students? One of the programs of the Midland County Emergency Food Pantry Network (EFPN) is the student assistance program which helps low income college students monthly with food. Often these students are single parents returning to school in order to get a better job in the future. Students must provide proof that they are a student. EFPN wants them to focus on getting their education without having to worry about having enough money for food. EFPN had around 28 students per month for the 2013-2014 school year. It could be happening to an important person in your life and you may not even know it. Grandmothers choosing between their medication or buying groceries. Grandfathers passing up meals to pay the mortgage. Senior hunger is a serious problem, but often hidden. During the winter months, EFPN provides extra assistance to seniors referred to us by DHS so they don’t have to choose between food and medication or higher utility bills. Often the food is delivered directly to the senior recipients. EFPN also provides gift certificates for nutritional supplements like Ensure for low income elderly clients. 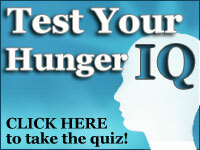 Take the short quiz below to see if you are aware of senior hunger. This quiz is sponsored by Feeding America. There is sometime a problem with getting to the answer page depending on the browser you are using. You can get to the answer page by submitting the answers twice or you can click on the second link below to see the answers. EFPN was awarded the Beacon of Light Award at the conclusion of the Harvest Gathering of the Food Bank Council of Michigan (FBCM) in recognition of our leadership in establishing new programs and our outstanding delivery of food to those in need in Midland County. The food gathering was begun nearly 20 years ago by Midland’s own Bill and Cynthia Schuette in an effort to raise both funds and food to support the 13 regional food banks throughout Michigan. The FBCM is comprised of member regional food banks. The regional food banks, along with their subsidiary distribution organizations and branch warehouses, safely store and provide millions of pounds of surplus vegetables, fruits, and other grocery items to more than 2500 local agencies serving each of the 83 counties in Michigan. These products are made available to the agencies at a low cost (about 10 cents per pound for goods with an average retail of about $2.00 per pound). Types of agencies include food pantries, soup kitchens, homeless shelters, hospices, domestic violence shelters, head-start programs, afterschool programs, half-way houses, and group homes for the mentally ill. 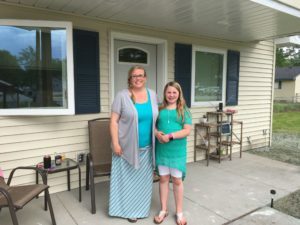 The Food Bank of Eastern Michigan is the regional food bank used by EFPN This award is a testimony to more than 700 EFPN volunteers who move the food through the pantry, food bank, or backpack buddy program to those in need. Everyone,including our nearly 1000 donors, should be proud of this award! EFPN is now a part of the Kroger’s Community Rewards program. Choose EFPN when you register your Kroger Card and you will be donating to EFPN every time you shop with no additional cost to you. Kroger will donate a percentage of your qualifying purchases back to EFPN. Supporters can earn rewards for EFPN on almost everything every time you shop! However, there are specific purchases that cannot be included: alcohol, tobacco, government-assisted pharmacy expenses, postage stamps, Kroger gift cards and Green Dot Prepaid Cards, gift certificates, bottle deposits, lottery and promotional tickets, fuel, fuel center purchases, office services and Sales Tax. Eligible pharmacy purchases include out of pocket co-pays for non-government-assisted pharmacy programs. You need to register your Kroger card every year. Your card enrollment expires every April 30. For information on how to register your Kroger card to support EFPN, see “How you can help” on the EFPN website. Sign-up requires access to the Internet. If you do not have Internet access, contact us at 486-9393 and we can sign up your card. The EFPN newsletter is online!